US patient advocacy groups are seen as unbiased and independent authorities championing the public interest with regard to drug and medical issues before the FDA. However, a new study has shown that almost all are funded and led by the drug industry. It turns out that at least 39 of 42 patient advocacy groups – or 93 percent – received funds from pharmaceutical companies, while at least 15 have drug company reps on their governing boards, according to research by David Hilzenrath at the Project on Government Oversight (POGO). Patient advocacy groups add a lot to drug-related legislation in the Congress. A study from 2014 showed that 43 percent of public comments on the House version of a bill came from patient advocacy groups. However, as the latest report by POGO suggests, their comments are far from being independent. For example, a group called ‘The United Patient Voice’ has two major pharmaceutical company leaders on its board, Pharmaceutical Research and Manufacturers of America (PhRMA) and Biotechnology Innovation Organization (BIO), as well as representatives from key drug companies – Sanofi, Johnson & Johnson, and Alkermes. And they don’t just sit there, it would seem. PhRMA provided $1.2 million in funds for the group two years ago, and 77 percent of its financial support came from pharmaceutical and biotech industries, according to POGO. Another group, the Leukemia and Lymphoma Society, was given at least $1 million in funding from such drug and medical companies as Bristol-Myers Squibb, Celgene, Genentech, Gilead, Novartis, Pharmacyclics/Janssen, and Takeda Oncology. On the group’s board, one can find Joseph Kelley, a vice president of government affairs for the Eli Lilly company, as well as Bristol-Myers Squibb executive Renzo Canetta and Dana Callow of PAREXEL, a liaison to drug companies on clinical trials. And the list goes on and on. There are eight pharmaceutical executives on the board of Cancer Support Community, the head of EveryLife Foundation for Rare Diseases is also surprisingly the CEO of drug company Ultragenyx, and the Juvenile Diabetes Research Foundation gets tens of millions of dollars in support from the drug industry and had its 2016 gala openly hosted by PhRMA. What does this all mean, and why could it be important to find about now? The news comes just a couple of days after House legislators passed a groundbreaking $6.3 billion bill called the 21st Century Cures Act, paving the document’s way to the Senate. The bill is a bipartisan effort that has been in development since April 2014, with its main idea being that FDA approval processes are out of date and prevent potentially lifesaving drugs from reaching patients. The document aims to accelerate drug and device innovation and boost the funding needed for research, but also – and here is one of the key points of concern – help drugs get to the market faster. Over 1,400 lobbyists have been pushing for the bill, and it was approved in a 392-26 vote. The abovementioned National Health Council and EveryLife Foundation were among the 217 patient advocacy groups that sent a letter supporting the act in mid-November. “At a time when Americans pay, by far, the highest prices in the world for prescription drugs, this bill provides absolutely no relief for soaring drug prices. 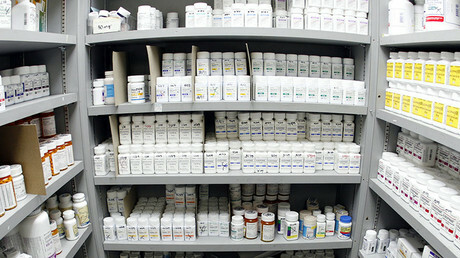 The greed of the pharmaceutical industry has no limit,” he stated a few days ago. 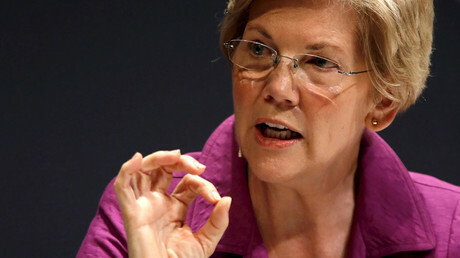 Senator Elizabeth Warren has echoed his concerns, saying on Monday, “I cannot vote for this bill. I will fight it because I know the difference between compromise and extortion,” while criticizing her fellow Democrats for not fighting the bill, despite recent changes in it that would introduce cuts to Medicare, as well as loosen regulations in order to permit drug companies market their products to treat conditions that hadn’t been part of their approval from the Food and Drug Administration. Scientists also share the politicians’ concerns. Rita Redberg, editor of JAMA Internal Medicine, a medical journal, wrote in August of 2015, that the new rules could mean a dangerous trade-off. “In our rush to find new effective treatments, we should not harm our patients with ineffective toxic ones,” he cautioned, as cited by Vox media outlet. Hilzenrath’s report also has issues with changes in the FDA’s approval methods that would come with the new legislation, with so-called “patient-reported outcomes” and “real world evidence” vying with the more credible clinical trials. If the fears of the bill’s critics come true, “the approval of undeserving drugs could not only harm people but also spur wasteful spending by consumers, private health plans, and government programs,” the study warns. In the meantime, the bill is set to be voted on in the Senate next week.